If you are looking to escape the crowds in Venice, Mazzorbo is the place to go. With only 350 residents and located far off the main tourist track, the small island is home to hundreds of artichoke fields, vineyards and fruit trees. 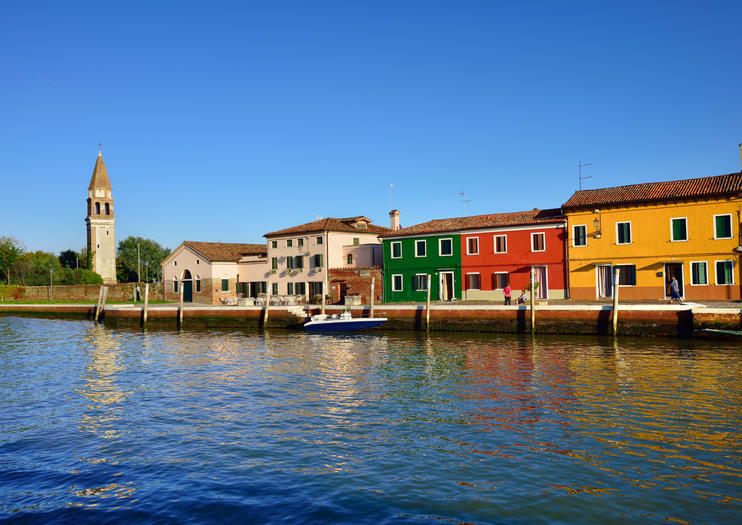 Connected to larger Burano by a wooden bridge, Mazzorbo makes a great day trip from Venice combined with stops in Burano and the nearby island of Torcello. It has a rich history that dates to the year 640 and the most notable building on the island, the Santa Caterina Monastery, dates to 1283. If visiting in the summer, you may want to time your visit to coincide with the annual fair held in the yard of the monastery. There, you can get a taste of life on the island by sampling local dishes and red wine and enjoying live music and games. Also worth a visit is Venissa, an ancient estate that has been restored by a family of winemakers and converted into an excellent restaurant with a menu that changes daily. The only way to get to Mazzorbo is by boat or by walking across the bridge from Burano. From Venice, take the Laguna Nord ferry from the Fondamente Nuove stop on the northern shore. It operates every 30 minutes and the trip from Venice to Mazzorbo will take just over half an hour. Alternatively, you might join a day tour that visits Torcello, Burano and Mazzorbo. When in Venice, taste something truly different with this private island wine tour. Cruise across the Venetian Lagoon to the seldom-visited islands of Sant’Erasmo and Mazzorbo, where ancient vineyards and the cool, salty climate produce distinctive wines. Taste these unique varietals among historic fruit orchards and vegetable gardens while learning about the long history of winemaking in the Venetian Republic. Enjoy a 4 hour private cruise through the Islands of The Venetian Lagoon.Thanks to an expert venetian local guide you will discover hidden traditions and cultures. With a private equipe on board you will spend an unforgettable trip admiring some of the major islands of the Lagoon: Murano and its blow glass tradition, Mazzorbo Island, less travelled by tourists but with its beautiful natural landscapes will leave a wonderful memory in your mind and finally the suggestive and coloured Burano Islands.Choose the Morning or the afternoon option and enjoy this adventure like you have never done in your life!